As a premium brand, Skiny provides you free access to all content via the Fashion Cloud platform. 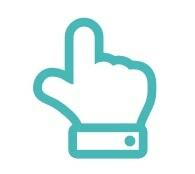 Download content with just a few clicks and save valuable time when searching for pictures and logos. 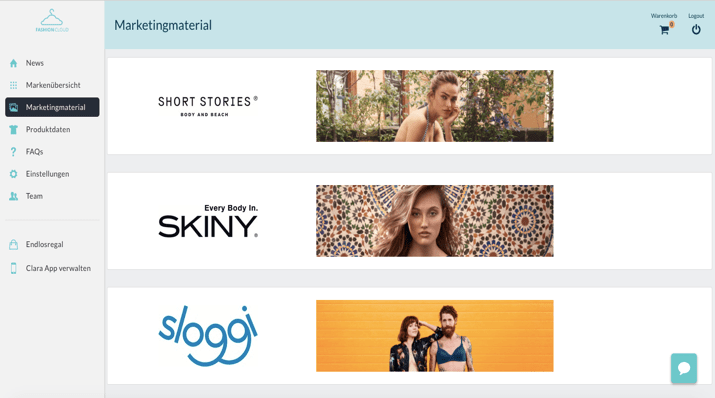 Skiny and many other brands are uploading marketing material, product data and logos to the platform. 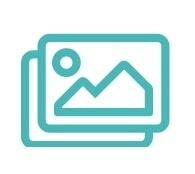 As a retailer, you can search for specific pictures on the platform and download them with just a few clicks. The images can be used for various marketing actions.Fashion Cloud will remind you of the expiration dates of the material via email. How do I look for content? The content consists of marketing material, such as images and logos and product information such as product images and product descriptions. Send Skiny an access request in the brand overview. Fashion Cloud is Europe’s leading B2B platform for digitization in the fashion industry. Via the Content PlatformBrands share product data and marketing content with their retailers. It networks over 350 brands and 4,500 retailers from 60 nations. In addition to the content platform, Fashion Cloud also offers the digital Endless Aisle which enables retailers to re-order individual items directly and thus adds the stock of participating suppliers to the range in the store. The endless asile can be used in the form of the Fashion Cloud App Clara or via your ERP system. Do you have any further questions about Skiny’s marketing material? We are happy to help you! With the free account you can download unlimited content from premium brands like Skiny. For all other brands you have a limit of 5 downloads per month. If you need additional content, please contact Fashion Cloud.